This is a project is intended to be used in a Spanish I class. Each student is assigned a different Spanish country, and they research and create a culture project and present it to the class. 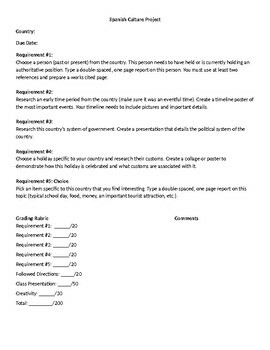 A rubric is included.